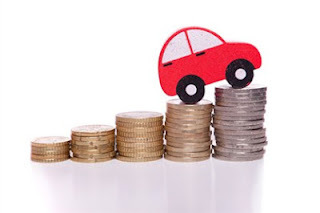 If you are looking for car insurance, you should understand what you are really looking for in terms of price and value. You can easily pay too much for car insurance, or make mistakes all while thinking you got a great deal. Here are the ten commandments of auto insurance that you should obey at all times. Whatever you do, never take the first deal you find. Shopping for insurance is never fun, but you can get quotes from a bunch of different companies in just a few minutes. Don't spend too much just because you couldn't wait a few minutes for another quote or two. Internet shopping for your car insurance is just so much faster and easier. You have complete control of your experience and can get quotes in just a few minutes. You can even print out your insurance cards in a few minutes and be on your way driving legally again. Never pass up the opportunity to get a discount. Discounts exist from everything to no-claims filing, to student discounts to discounts for going to safe driving classes. If you aren't getting all the discounts you can, you are paying too much for insurance. It doesn't matter how long you have been with one insurance company. If they aren't giving you the best deal, you need to be switching to a company that will. Your provider should be giving you the best service at the lowest cost, don't accept one just because of the other. Minimum coverage is not the safest thing to do. You won't have as much coverage in case of an accident, and you might still be paying for damages out of pocket. Pay a little more for adequate coverage, not just minimum legal coverage. Even that level is a little too skimpy in case of an accident. Yes, you will pay less in premiums, but you will end up paying more if you have an accident. The best case is to have no more than a 500 dollar deductible on anything except for glass, which can be cheaply set at 200 dollars. Your credit rating can increase, or decrease, your cost of insurance. If you are having credit issues, try to resolve them before you ask for a rate quote, or it could cost you. Bundling your car insurance policy with your homeowners, renters, life or other forms of insurance can make it easier for you to save money on your car insurance policy. Check to see who can give the best rates. Accidents and tickets will raise your premium. They will also make it more expensive to buy insurance elsewhere. These dings to your driving record usually stay on for about 3-5 years depending on the insurer and the amount that was paid out to others. You can save money paying for the 6 month premium in full each time its time to renew your policy. You save money over installment payments, and you don't have to worry about your insurance payment being late, or forgetting about it completely. Save money and get peace of mind at the same time. Wow! This is an excellent and easy how-to guide. Shopping for car insurance always frazzles me. I can never really sort out what is the most important thing to look for, but these have narrowed that down a lot! I'm specifically looking for Guelph insurance companies, but if you know of any good ones to keep an eye out for, I'd love the advice. Thanks for the article! Great checklist. I've been searching for a new car insurance company that's closer to my area. I never considered the option of bundling it in with something else. 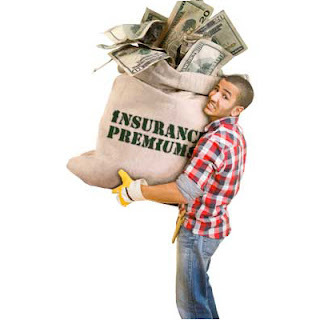 Is there a particular other kind of insurance that it works best to bundle car insurance with? Thanks for your help. Thanks for writing this post! I appreciate that you are able to write about the serious subject of insurance and give wonderful advice, while being funny! It's always great to run across a well written blog after reading so many poorly written ones.